Manufacturer of Noodles Dryer Machine. Our product range also comprises of Chapati Making Machine, Electric Steam Boiler and Noodle Flour Mixer. We offer quality Noodles Dryer Machine to our customers’, which is widely used in the food processing industry. It is a kind of a tray dryer, designed as per industry standards and customized according to the customers’ requirements’. It is corrosion resistant and is highly durable. 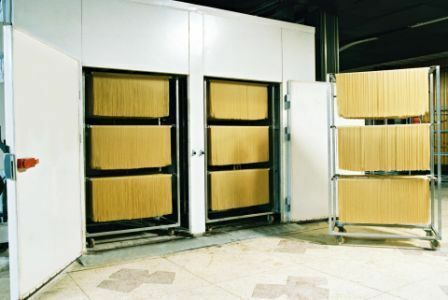 Noodles Dryer Machine is comprises of a temperature controlling system. Looking for “Noodles Dryer Machine”?